Your new Grandparents will absolutely love these New Baby Personalized Wood Picture Frames featuring your most precious little star's first photograph. 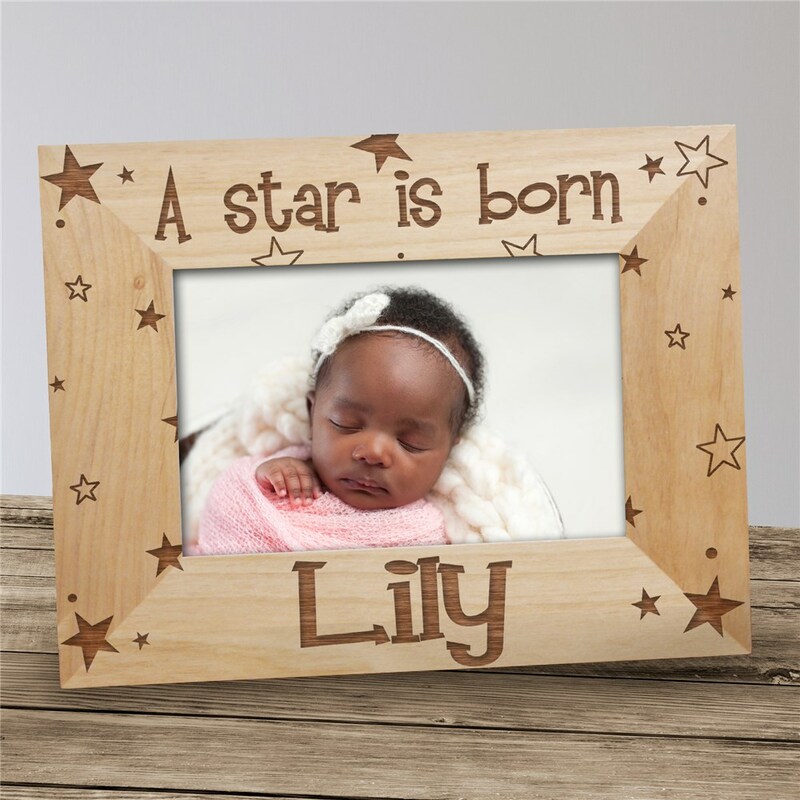 Our New Baby A Star is Born Personalized Wooden Picture Frames comes in three sizes, please choose from, 4"x6", 5"x7" and 8"x10". Easel back allows for desk display. Includes FREE Personalization! Personalize your New Baby Wood Picture Frame with any name.